Gorgeous family home on large, private treed 1.3 acre lot in beautiful St. Andrew's West. There's space for everyone with 6 Beds, 4 Baths, double garage, finished basement. Features include ducted heat pump for efficient heating and cooling, granite counter tops, main floor den or bedroom, beautiful master suite with soaker tub and custom tiled shower. So much to offer! This stunning new home presents an EXQUISITE level of finish from top to bottom, inside and out. The attention to detail is second to none in this unparalleled Rockingham home. Three levels of superb, carefully planned features and living spaces, combined with exterior landscaping and hardscaping that will impress the most discerning buyer. Must be seen in person to appreciate all it has to offer. NOTE:18 Chelmsford is also available & is unfinished inside for buyer to select own finishes. Call for more info! 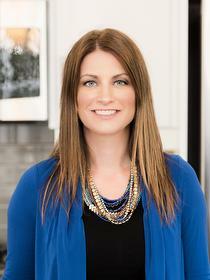 Melissa Berry brings a strategic yet personable approach to the home buying and home selling process. Drawing from years of experience in the Hospitality and Residential New Construction industries, Melissa has built a reputation for her refreshingly friendly customer care, perseverance, honesty and fairness. She also enjoys a stellar reputation for quick, timely response to each client's needs and concerns. Her telephone and email are always at hand. The result of that consummate professionalism is her extensive portfolio of referrals from past and present clients. Melissa specializes in both home buying and selling, new construction, condos, luxury homes and first time buyers. Her passion and sharp attention to detail helps buyers with a highly focused search for their new home and helps sellers get the highest value for their home. Melissa understands that buying and selling is one of the biggest decisions in a client’s life and views the representation and guidance of her clients through this process as a true privilege. Contact Melissa Berry today at 902-401-9425 for a market analysis or for more information on the home buying or selling process.